Bring the water to the boil in a wide pan, add the salt, sugar and butter. 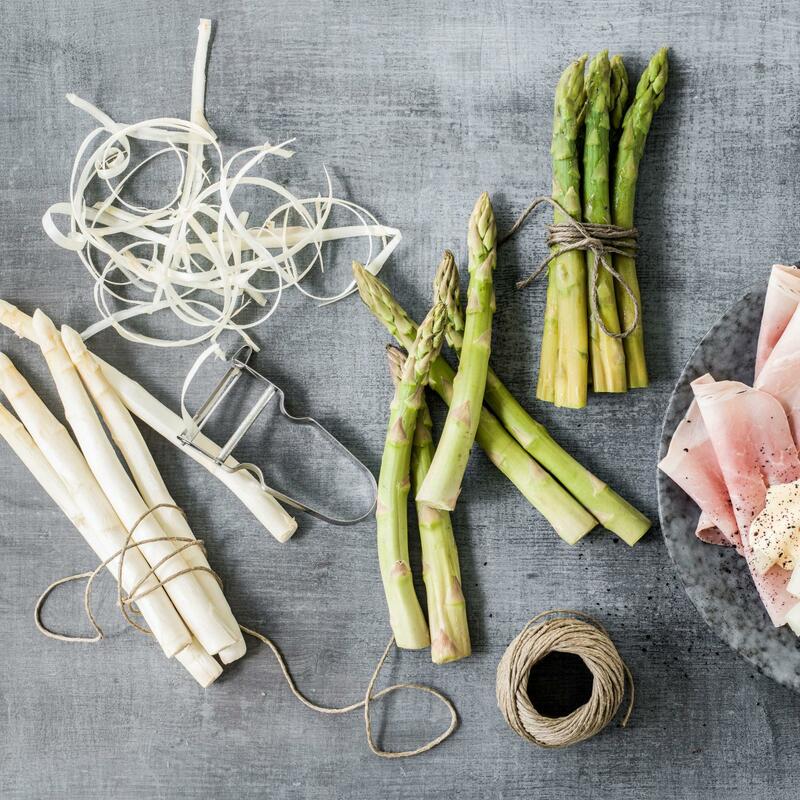 Using a peeler, peel the asparagus from the tip down, cut off the ends. Place the asparagus in the boiling liquid, return to the boil. Remove the pan from the heat, cover the pan with a lid and leave to steep for approx. 20 mins. Remove the asparagus, drain, transfer to a warm plate. 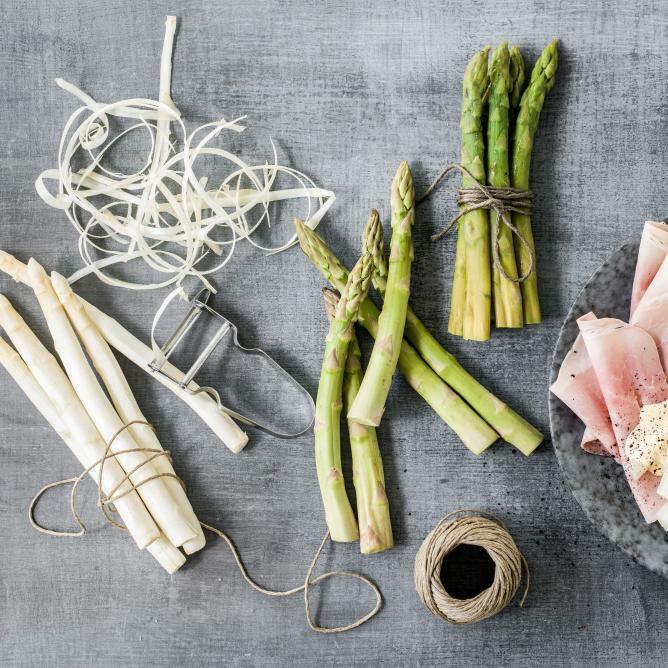 Instead of white asparagus, use green asparagus (only lower third peeled). Leave to steep for up to 15 mins. depending on the thickness.